Our technical operations team has identified the issues with COVE and restored the missing content items (episodes, stacks, carousel, etc.). If you are still experiencing missing content, this could be the result of system caching, which should clear up within 30 minutes. The source of the issue was related to the Merlin API not updating the front-end properly. In order to fix this, ingestion needed to be temporarily taken offline. Ingest has since been restored, and you should feel free to resume any operations. We are continuing to clean up some background operations, but none of these items impact the user. Again, we apologize for any inconvenience this has caused. Please let us know if you are still experiencing issues. 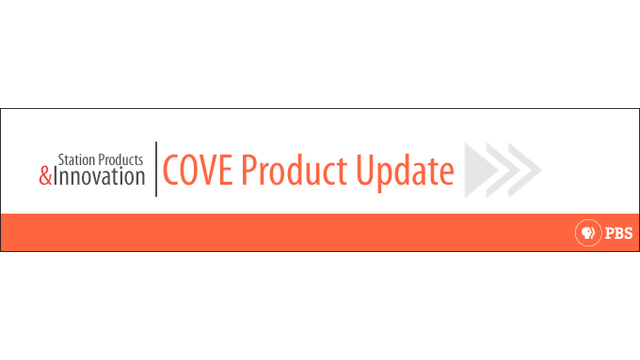 You can visit http://status.pbs.org to continue to follow updates on COVE and other products.